Well, to be honest.. I hate short sleeves. Especially in combination with a suit, short sleeves are never an option. So, long sleeves and a Panerai. 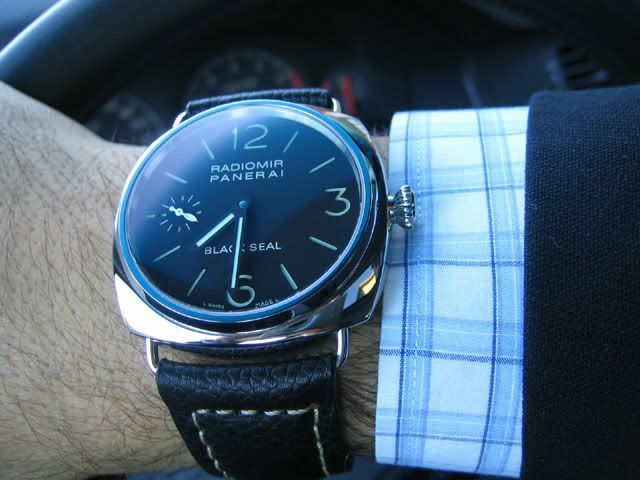 Although I think a Panerai goes very well with a suit, sleeves might be a problem. Some cuffs just don’t allow it to hide a Panerai. So most of the time, it will look like Nad’s picture below. Another option, also given as an answer in the forum, is to start wearing tailored shirts. According to the forum, make the cuff that is on the side of your wrist with the Panerai watch, about 0.5 – 1 inch bigger et voil?°! Problems solved. 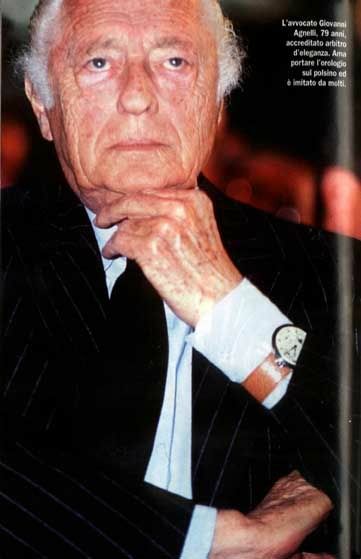 Or do you dare to copy Giovanni Agnelli?